Happy Tuesday Everyone! Today I have a hair tool review for y'all. Its on the HANA Pro 1" Flat Iron. Before I begin telling y'all about it, I just want to say that I'm really picky about my hair products, and tools. I've been using a Chi Straightener since I was like 14. So I'm usually really hesitant about trying new straightners out, but I loved the HANA Pro 1" and I was so glad I decided to branch out. Can we first talk about the cute packaging the flat iron came in?! It was so adorable! It came with the so many goodies, and accesories for the flat iron. Some of my favorites that it came along with are a travel bag for the flat iron, a rubber pad to set the flat iron down on, a hair brush, and some other fun goodies like make-up. One thing I really like about this flat iron, and something that my old straightener doesn't have is the ability to change the temperature. I love that I can do this!! Because sometimes I felt like my old flat iron would get too hot, well with the HANA Pro 1" Flat Iron you don't have to worry about that! The HANA flat iron is also 100% ceramic, which is another feature that I love! 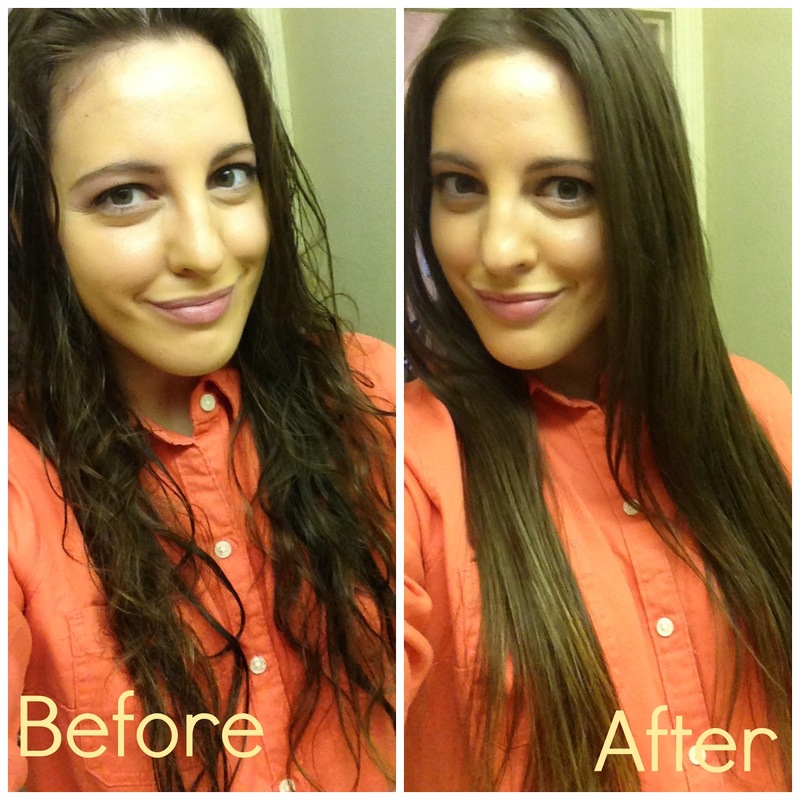 Here's a shot before and after I used the HANA Pro 1" Flat Iron! I thought it did a pretty good job, and it didn't take me long at all! My hair isn't super curly, but I would say its pretty wavy curly, and the HANA flat iron did an amazing job making my hair silky smooth straight! Some other features that the HANA Pro 1" Flat Iron has that I love are the fact that it has curved plate edges, that means that not only can I straighten my hair but curl it too!! Its super easy to do, and I felt like I couldn't do that with my other flat iron. And with these plates it also eliminates snagging my hair. I really feel like this is the best hair straightener! If y'all are looking for a new flat iron, I would definitely look into this one, because you won't be disappointed. For more information on the HANA Pro 1" Flat Iron you can visit their website HERE, HANA Salon's site HERE. or their Facebook HERE.